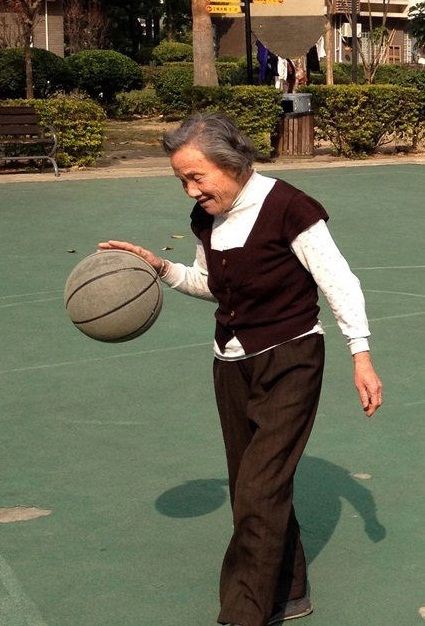 An 80-year-old grandma who was practicing shooting hoops 练习投篮 at a basketball court 篮球场 in Fuzhou on January 21 became an instant internet star 网络红人 after images of her impressive athletic strength began circulating across China’s social media. Besides basketball, the currently retired 退休的 granny routinely practices push-ups 俯卧撑 and sit-ups 仰卧起坐 every day, and can perform 150 push-ups and sit-ups in a time span of 20 minutes. This brings us so much happiness.